Winter is coming and along with the cold outside weather, the inside dry weather causes lips to crack. Vaseline is a life saver and does such a great job protecting lips. Along with the blustery winter weather comes cracked hands and sore feet when they get cold and wet. Vaseline can be applied to both your hands and feet for a short amount of time covered up in socks and mittens to help soothe those beaten up areas. Vaseline is also a great mascara and make up remover. Just a little bit takes off a lot and it leaves your eye area feeling soft. My elbows get dry and cracked all the time. I have found the Vaseline is good at protecting and provides a soothing feel. Tired of buying lip stick or gloss that doesn't really fit the bill? Just a dab of Vaseline over your favorite lipstick provides that glossy look you love without sacrificing the color you want. This is something I picked up from a friend who colors hair. If you put some Vaseline along your hairline on the skin side, color from hair dye won't be absorbed. Isn't that a great trick? If you have old lipstick containers that you can't get anymore out, try this handy little trick. Scoop out the leftover lipstick and place in a small container. Add some Vaseline and now you have some great looking cream blush. One thing I cannot stand is to groom my eyebrows only later to have a few strands out of place. Vaseline is a great product to keep them in place while still making them look natural. Vaseline is also a great product for your cuticles. They provide that extra moisture to make them look healthier. This is one of my favorites. Add some sea salt to some Vaseline and any fragrance you like to make your own bath scrub. Any craft store should have different fragrances to choose from that will make your scrub uniquely yours. What have you used Vaseline for or heard of someone else using that is unique or different? Disclosure: I wrote this blog post while participating in the TwitterMoms and Vaseline blogging program, making me eligible to get a $25 gift card. For more information on how you can participate, click here. 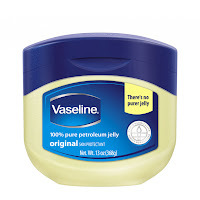 Vaseline products are manufactured by Unilever [NYSE: UL, UN], one of the world’s largest consumer products companies. With a 140-year heritage as America’s most trusted healthy skin expert and more than 30 years as a leading hand and body lotion, the Vaseline brand delivers products that meet the specific needs of consumers, no matter their life stage or lifestyle. The Vaseline Aloe Fresh line includes Vaseline Aloe Fresh Hydrating Lotion, Vaseline Aloe Fresh Protecting Lotion with SPF, and Vaseline Aloe Fresh Moisturizing Gel. All products in the line are designed to be light and leave skin feeling hydrated and refreshed. 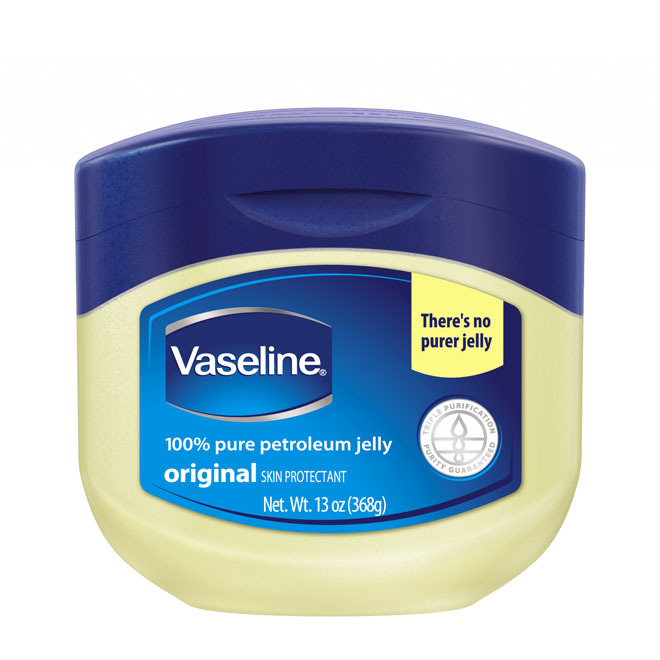 In addition to the Vaseline Lotions, the Vaseline family of products also features a complete line of Vaseline Petroleum Jelly and lip balm products. All Vaseline products can be purchased at drug stores nationwide. For more information, visit www.vaseline.com.